You’re the administrator of an Exchange environment with lots of domains registered over the years for whatever reasons, as an example different business units with different e-mail domains. You’ve added them all to the Azure AD and verified them but now you need to tie them to the AD Federation Service (ADFS). Problem is it takes alot of time to first sort out all domains that are verified and then federating them, a very tedious task. Solution is you export all your domains into a CSV file (just listing all the domainnames is fine), the run this script and it will import the CSV file and for every entry it will check to make sure if it’s verified and if so, federate it with the ADFS. 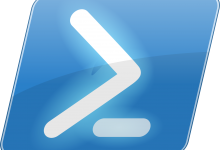 Remember to run this on the ADFS server and the Powershell needs to be launched as administrator! # Let's begin by importing the file. Change the filename "CSV_FILENAME.csv" to whatever you see fit. This script can easily be converted into one that does the initial adding of the domains, but since every domain added gets a vertification code backs doing that in bulk is less than ideal.